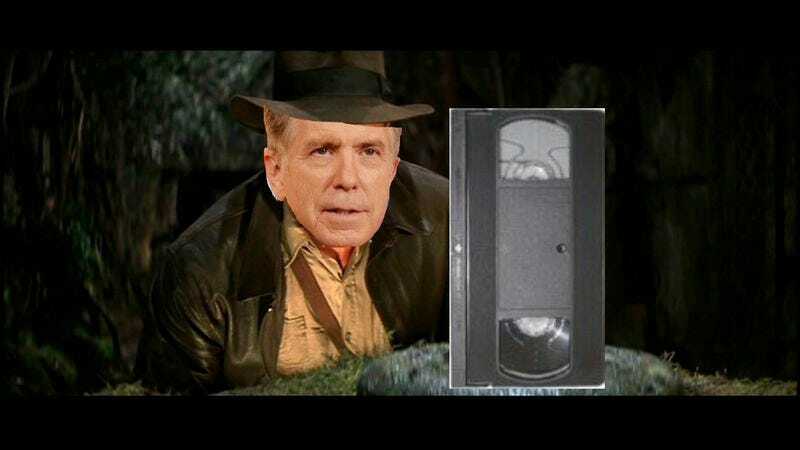 After a decade and a half of scouring the backroads and majestic vistas of this great nation, combing through hours of crotch shots, excavating the most brutal personal watercraft accidents, and verifying the stories from the friends next door they’ve never told, Tom Bergeron’s quest is nearly at an end. Confirming what he first scrawled in his Twitter.com online field notes on March 7, television personality/slapstick archeologist Bergeron told Vulture that his tenure with America’s Funniest Home Videos will be complete with the show’s 25th season. It’s a declaration that can only mean one thing: The one, true funniest video in America—the holy grail that previously eluded Bob Saget, John Fugelsang, Daisy Fuentes, and a number of Nazi-sympathizing turncoats—has been found. Its powers are untold. Its potential for laughs is legendary. Its punchline based on a guy taking one in the nutsack is almost guaranteed. With this career-making find, Bergeron can at last kick up his feet and devote himself to more stationary pursuits—like his long-running weeknight hobby of observing the choreography of celestial bodies. Yet, like any TV adventurer worth his salt, Bergeron remains restless, and has since penned a 140-character diary entry regarding a potential “live” version of his life’s pursuit. Oh, the red, white, and blue—so long as there are funny things you do, so long as trampolines remain shoddily assembled, the work of an explorer like Tom Bergeron will never be finished.